There I was, minding my business. Well, not really...I was minding the business of an “authentic leader”. He was in the gym with some other businessmen and they had entered my space. I was impressed by the bicep curls and the triceps kickbacks. But I was concerned by the way they were beating up on their chests in honor of their leadership capabilities. They were bragging about the rules they had implemented in their small businesses that showed their employees that they meant business. Each one believed that these rules showed that he was an authentic leader...the real Mc Coy! Where do you Sirs, get off creating a rules-based culture and fooling yourself you’re practicing authentic leadership? Why do you believe that having a collection of rules which do not work for you, your employees or your business means that you’re an authentic leader? When will you realise that what you really need to lead your business is not a set of rules to follow but sound relationships with those you lead? So to start you and all other business owners who think like you, on the path to your authentic leadership, here are 10 useless rules that no authentic leader wants to be following. It's your litmus test for authentic leadership. 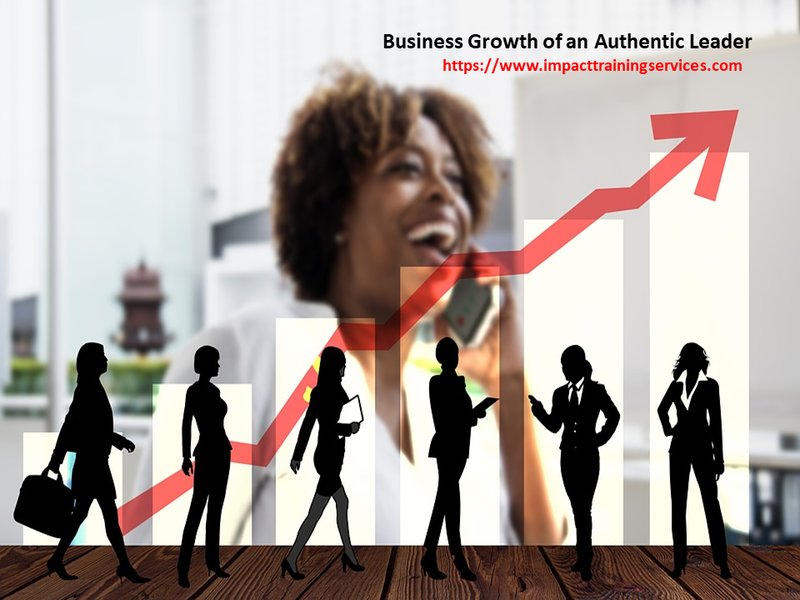 They are in no particular order, but they come from my experience in turning around the operations and fortunes of several clients and helping them to become authentic leaders. Small Business Owners who describe themselves as “hands on”. When I look a little closer, it’s really micro-managing wrapped up with a reluctance to delegate. If this is you, stop now. In order to grow and be successful, your business needs your managers to be able to make decisions quickly and confidently. If they have to check with you before every decision, they soon become frustrated and stop making any decisions. Encourage your team to make decisions in their areas of operations. This will free you to make the big, strategic decisions which authentic leaders need to make. That was my response when I heard that a business owner had asked for a spreadsheet detailing the hours which one of her managers had worked in a particular month. Sadly, this was one big waste of time since the manager is not even paid by the hour. To make matters worse, the manager realised how much time she was really spending on the job and was actively planning to reduce these. If you are still in a place where you link the time spent on the job with the amount and quality of work your staff produce, then you need my Rapid Scale Leadership Programme. Instead of using time as your productivity yardstick, work with your managers to set goals and targets and give them the resources and space to achieve them. In this way, their work becomes meaningful and exciting and you get to experience the advantages of being an authentic leader. This one has always baffled me. I don’t know about you, but 6 months in business seems like an eternity to me. So when I hear that a business, a small business, has a probation period of 6 months, I cringe. The present generation of workers are not interested in waiting 6 months before they can be transferred or promoted. And if you have to wait for that length of time to know if an employee is really a good fit, then you didn’t get the hiring right. Hire a person following your hiring process (you do have one...do you?) and fire them if it doesn’t work out, following all the governing laws of your country. Just imagine, you hire a bright, eager young person and you subject them to any combination of these 10 useless rules I discuss in this post. Naturally, they quit because they are part of that millennial generation that does not have a high tolerance level for this approach. And then you ask them to take part in an exit interview? And you list yourself among the authentic leaders? I share my thoughts fully on the exit interview in this post, including what I think should replace it. It's something you may want to consider. Cellphones are here to stay...even though a smart-phone free workplace might be your productivity ideal. 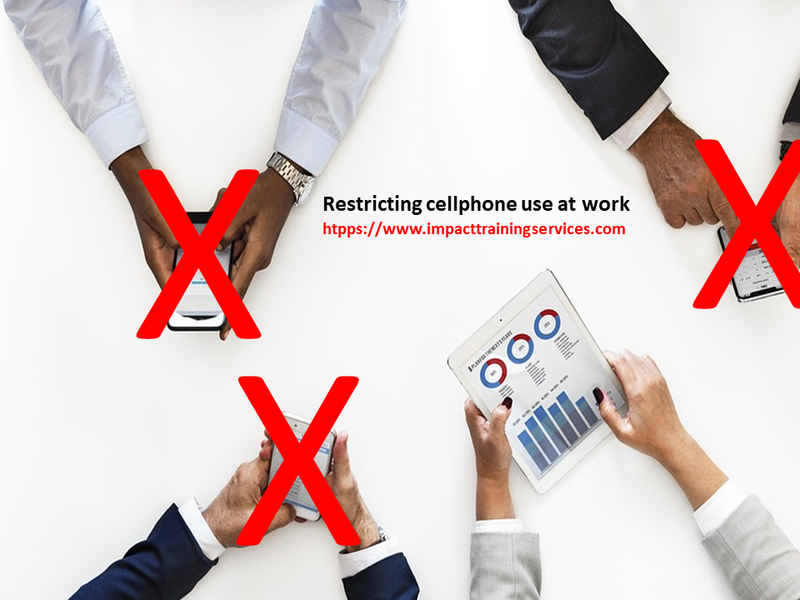 Addicting and annoying as they maybe, unless there are safety concerns, completely banning the use of cell phones from your workplace can be perceived as harsh and can lead to morale problems. Moreover, I am aware of instances where customers have contacted employees on their personal cellphones to find out if an item was in stock or what time the store was closing, etc. A better approach would be to accept cell phones as a part of modern-day work life and establish a policy for cellphone use for your business. You need to enforce whatever policy you established and take disciplinary action against defaulters. In addition, whatever policy you set, be sure to follow it yourself. In this way, you lead by example and establish yourself as a truly authentic leader. Customers are absolutely important to your business, especially when they are loyal to your brand. You see, the customer service industry is an incredibly dynamic one. And social media ensures that our customers are presented an ever evolving and growing series of choices and options. But what about the employees who serve them? Well, your employees are customers too – internal customers. They are the driving force behind the service you deliver that keeps your customers loyal. It follows then, that it’s just as important to understand and engage with your staff. You have to create and develop training programmes that guarantees employee learning is equally rewarding for them as your customer loyalty programmes. Valuing customers above employees is certainly not authentic leadership but rather a way to ensure that your customer service efforts fail. Every year, on the anniversary of their employment, (assuming they last more than a year) a business owner or a manager meet with an employee. The purpose of this meeting is to provide feedback to that employee on their performance during the past year and hopefully discuss how to correct this in the future. Essentially, that’s a performance review. This exercise is dreaded by most employees and does not provide much valuable feedback for either party. Furthermore, according to a study conducted by Wakefield Research, more than 90% of employees would prefer their manager to address mistakes and learning opportunities in real-time. An authentic leader would get rid of annual reviews and rankings. They would encourage employees to set goals and maintain high standards and give them continuous feedback on their performance. If companies like the Gap Inc or Accenture can get rid of annual performance reviews, you can too. There is a place for formal communication methods in any workplace. Formal communication flows through pre-defined channels set by the business. The direction is largely one-way, from top to bottom. In small businesses, excessive use of this method stifles communication, kills meaningful feedback and smacks of a leadership style that is anything but authentic. On the other hand, informal communication is not defined by any structured channels, so messages move much faster. It is more about building relationships with your employees, customers and suppliers. It requires a culture of openness, trust and goodwill, fostered by the leader, which will in turn create togetherness and build strong teams. That’s why, no authentic leader can function effectively in a culture of excessive formal communication. I can hear you asking: "who would hire a smart person and then limit their input?" My answer is: "unfortunately, too many small business owners!" And I really understand how this may be so. Many entrepreneurs undertake risks and experience blood, sweat and tears to grow their businesses from idea to operation. At a certain point, they recognize that further growth requires expansion. So, with all the right intentions in the world, they hire smart, highly trained people, to secure the future of their business. But when these smart people try to do their work as they know how or advise the owners about certain aspects of the business, they meet with much resistance. This resistance is largely driven by fear of losing that all important control by the business owner. But when you hire a smart and knowledgeable person, you ought to let them guide you in their area of expertise. Insisting that they do as you say all the time limits your access to their wisdom and stifles their creativity. Trust is not only a part of who you are as an authentic leader, in this 21st century, trust is a tangible business asset. Yet many of the business practices which you rely on (check 1 – 9 above) are built on lack of trust. I have written an entire blog post on how to leverage trust for business success but I want to make a few points here. You create trust at an individual level, whether it’s with your employees or your customers or clients, primarily by the way you communicate. 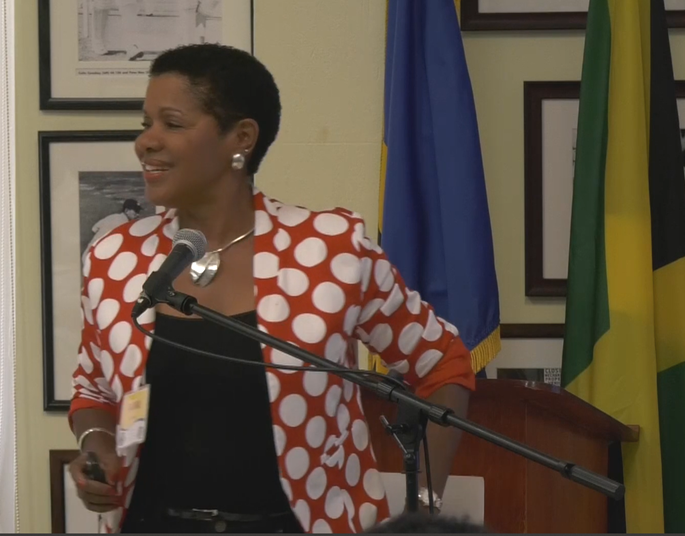 So, engage in open and transparent communication and when you speak, speak from the heart and have no hidden agenda. Listen more than you speak and let the other person know that you value the feedback you’re receiving. There are many definitions of authentic leadership, but for me, it’s simply when what you say is strongly reflected in what you do, and this shows up in your business. Therefore, here’s your opportunity to check your business and see if you’re using any of these useless rules in your business. If you are, choose the one that’s causing you the most pain or the one that’s a low hanging fruit. Eliminate this one first and then plan how you will work on the rest. ← How to Approach Employee Training When You Want Big Results!